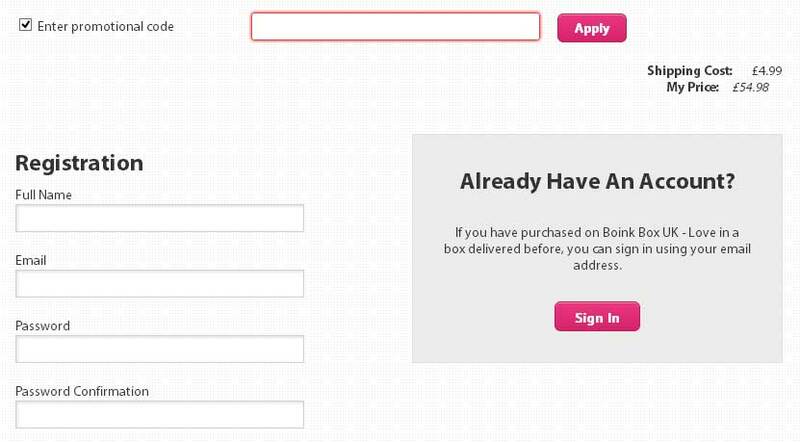 Boink Box is a great little surprise subscription box in the UK. Such a great concept we can’t believe we’ve never seen it before. Every month you get a box full of random treats, toys, lube and fun. You can sign up as a couple, a male or a female and they will send you a box full of random awesome stuff every month. I love services link this. Using this page you can find a boink box promotional code to use on your order. Just enter it where the box says below. You will need to check the “promotional code” box on their site and then apply the code. This page will always be kept up to date so you know it works.